In The Crash Detectives, veteran aviation journalist and air safety investigator Christine Negroni takes us inside crash investigations from the early days of the jet age to the present, including the search for answers about what happened to the missing Malaysia Airlines Flight 370. As Negroni dissects what happened and why, she explores their common themes and, most important, what has been learned from them to make planes safer. 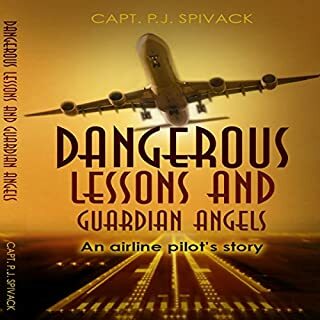 Squawk 7700 is a first-hand account of author Peter Buffington's experiences as a commercial airline pilot and the journey he took to reach his childhood dream. 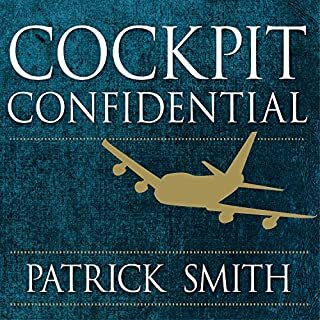 Buckle your seatbelt and prepare for an eye-opening, turbulent ride into the world of aviation from the pilot's seat. From student pilot at age 15, to flight instructor, to nighttime cargo pilot, and finally as first officer aboard the ATR 72 turboprop airliners island hopping the Caribbean, Squawk 7700 is a riveting aviation adventure. Glory Lost and Found: How Delta Climbed from Despair to Dominance in the Post-9/11 Era tells the story of Delta's dramatic tumble into bankruptcy and how it climbed its way back to pre-eminence despite hurricane-force headwinds: high fuel prices, a hostile takeover bid, relentless competition, economic meltdowns, and geopolitical shocks. Yes, it is clear that the author truly loves what he does and that does come through in the book. Maybe I will go back and finish it after I finish the current thriller I am listening to, or if I am sitting on one of those many commercial flights and need to take a nap. 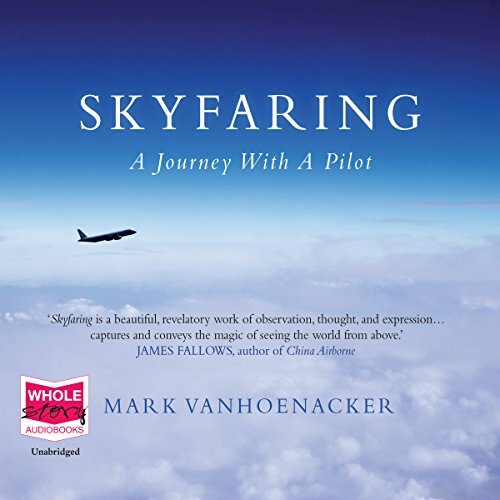 Vanhoenacker has great enthusiasm for his life in the sky and shares it abundantly and unstintingly. He allows his imagination to soar with his spirits and he imparts his experience in every sentence. Bless him. But it is too bad that he first flew in the encapsulation of a pressurized craft. There is nothing like flying at 6,000 ft in a DC3 over wild Alaska, with the atmospheric pressure the same on both sides of the plane's outer skin. Exhiliration!! paused at every line break. Didn't he have a director, a producer, a voice-coach? I am returning this book and turning to the print version. 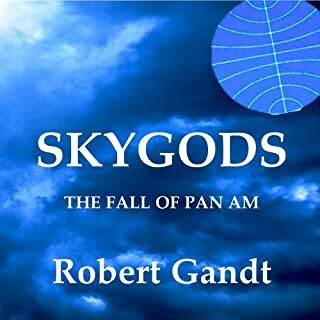 What other book might you compare Skyfaring to and why? Maybe Sy Montgomery's "Soul of an Octopus" compares. She has the same quality of enthusiasm for the creature she studies as Vanhoenacker for the earth, the sky, and flight. What didn’t you like about John Moraitis’s performance? Unbearable. Though I must say, the timber of his voice is pleasant, so there is promise, that with coaching, lots of coaching, and directing, he might turn out to be a decent narrator. Was Skyfaring worth the listening time? Yes, it got me to turn to the text. Yes. Why is the narrator's pronunciation not checked? Great book but horrible narrator. I loved reading the book but listening to it was a very different experience. The narrator has an awkward cadence and places enunciation on off words making the listening experience jarring and painful. Bummed. 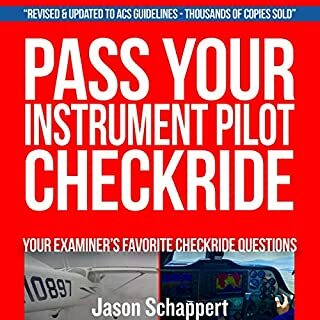 I am a pilot and thought I might find it engaging. Instead I found it elementary and somewhat boring. I also didn't find the narrator gave this read much life. I had previously read this book in print, and as an aviation fan was very happy with the book. Unfortunately, the audio book contains many mispronunciations which make it frustrating to listen to. Parts of the book were quite interesting but others went on much too long with lots of repetition. As to the narrator: The quality control in the making of these audio books comes into serious question. Does anyone listen to what's going on? Others have mentioned altimeter as being a pretty glaring mispronunciation. What about "airplane"? which, as you can imagine is a pretty common word in a book about flying. From the very beginning of the book it's not a two syllable word but a three syllable word. Aer-o-plane is even more disconcerting and abrasive than altimeter. Be warned. What did you like best about Skyfaring? What did you like least? There is random, interesting information about aviation and the life of the pilot. Most interesting was information. Least interesting and really off-putting was the poetizing. The reading seemed to be in a mono-tone and uninspired. I thought it must have been read by the author and not a professional. I checked and saw I was mistaken. It might have been if it was cut by 25% or more -- talking out the ponderous poetizing. I love almost anything having to do with aviation. I once got a private pilot's license, though I stopped flying when I realized it was the best way for me get killed or, at best, go broke. So when I read the glowing, no make that soaring reviews of Mr. Vanhoenacker's book, I couldn't wait to give it a listen. Yes, Mr. Vanhoenacker turns a good phrase and his love of his profession is admirable, but the book was extremely boring. While they may have seemed like revelations to him, his observations were rather obvious and mundane. Then there is the problem of John Moraitis' narration. In his mouth, the word altimeter, pronounced nearly universally as al-TIM-eh-ter, became AL-ta meter. This word is used many times in chapter after chapter and grated more and more as the book slowly wore on. Doesn't anybody listen to these books before they go up on Audible? Can't recommend this one except as a sleep aid. Great read for aviation enthusiasts. 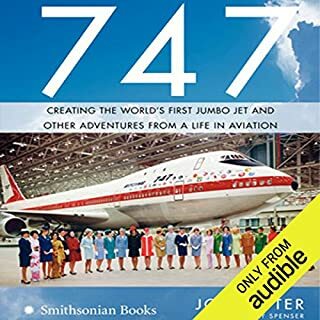 Vanhoenacker beautifully conveys his love of flying, while providing much fascinating information about piloting a 747.
very emotive and enlightening , has definitely rekindled my love of flight and planes . Not really. There are some really good parts and if it was abridged by a good editor then I think it could be a much better book for the casual listener. As it stands though, it is very wordy in parts and in the end just goes on a bit too long. After 12 hours I was ready for it to finish (and soon!). Would you be willing to try another book from Mark Vanhoenacker? Why or why not? Possibly, but I only have so many credits which means probably not. Why not? Well, much like some other reviewers I think Mark just tries a bit too hard in places. I've nothing against the guy (and I liked some of it very much), but I didn't need the literary references to appreciate that he is a very educated guy. Read one of Feynman's memoires if you want an example of an overpowering intellect who never strays from plain English. Have you listened to any of John Moraitis’s other performances? How does this one compare? I haven't, but I have no complaints about the narration. No - and to be fair I think this would be a difficult subject to do justice to in a film. Mark is obviously a smart guy - He mentions his education, followed by the career in management consulting and I think that's maybe the underlying issue here. I can imagine what he would have been like giving a presentation - at the end of it you would have been made fully aware of just how smart he was. Perhaps that seems a little unfair, after all I did like a lot of the book. I do think that as a 5 hour book minus the flowery bits it could be a really good book. I absolutely love this book. I like to put it on when I'm flying, I sit back with a drink and stare out of the window. The stories are straight from the flight deck and I find it both reassuring and fascinating to listen to. If Mark Vanhoenacker hadn't become an airline pilot then he could have been a poet or author because he has a real gift for bringing words to life. It took me a while to get used to the narration but after half an hour or so I grew to love John Moraitis voice. 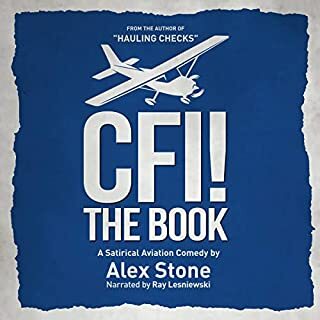 All in all a wonderful audiobook with lots of wonderful stories from the flight deck. I loved the authors articulation of the marvel of flying and aviation. He offers an amazing perspective from the other side, that of the the aircrews and their relationship with flying. Mark's love affair with flying has made me understand a lot of what I felt and experienced whenever I flew as a passenger but was unable to articulate into ideas and concepts which make me marvel the spectacle of aviation Everytime a plane leaves the ground or lands back on it. Must read for aviation enthusiasts and also those who are not there quite yet. Inspiring thoughts of aviation and airline pilots lifestyle from an interesting perspective. .. ... .. This is a lovely written book with great descriptive prose. To me however it made no sense even after two chapters. Which is why I LOVE Audibles' return policy.